AMIS Network Marketing is here to energize your business to be more innovative, to increase your business productivity, to cultivate products, services and concepts in your business, and to encourage you to have the outlook of entrepreneurs and investors and in your operation. 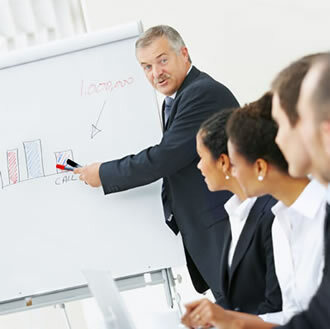 Entrepreneurs lead firms or organizations and also demonstrate leadership qualities by selecting managerial staff. Strong management skills and team building abilities are essential leadership attributes for successful entrepreneurs. Entrepreneurs emerge from the population on demand, and become leaders because they perceive available opportunities and are well positioned to take advantage of them. Successful entrepreneurs are often among the first to recognize or be able to solve a problem. The most significant influences on an individual's decision to become an entrepreneur are workplace peers and the social composition of the workplace. Entrepreneurs often possess innate traits such as extroversion and a propensity for risk-taking. Many companies in today's economy are merging, downsizing and tightening their belts to remain competitive. We have found that some are outsourcing and relying more on small businesses to provide specific products or services. This has resulted in tremendous business opportunities for some smaller companies, and has created great opportunities for entrepreneurs. There is a great deal of pressure for quality, technological competence, innovation and expense control. Through its network and strategic partners, AMIS Network Marketing can assist you in addressing these challenges. Branding awareness refers to customers' ability to recall and recognize the brand under different conditions and link the brand name, logo, jingles and so on to certain associations in memory. It helps customers to understand to which product or service category the particular brand belongs and what products and services are sold under the brand name. It also ensures that customers know which of their needs are satisfied by the brand through its products. Branding awareness is of critical importance since customers will not consider your brand if they are not aware of it. An effective branding / identity is one that is perceived to reflect the same set of values around the world and is linked to products that are sold in international markets. It transcends its origins and creates strong, enduring relationships with consumers across the US and other cultures. Examples of global brands include Coca-Cola, McDonald's, Marlboro, Levi's, Shell, etc. These brands are used to sell the same product across multiple markets and could be considered successful to the extent that the associated products are easily recognizable by a diverse set of consumers. We can assist your business with branding and identity. How do you desire your business to be known by your clients? AMIS Network Marketing offers Risk Management on a fee basis. We go farther for our clients by assessing their insurance coverage needs while also paying close attention to their bottom line. With a dedicated team of insurance experts working with market-leading solutions, we are able to help protect your assets so you can focus on moving your business forward. We work independently without any carrier restrictions to provide seamless risk management support to our clients and to facilitate the flow and understanding of information from the insurance marketplace to our clients. We offer a broad selection of services ranging from project-specific services to ongoing outsource risk management support. It is impossible to completely eliminate risk, therefore life is about managing risk. We offer our clients the opportunity to acquire services for either a contractual / fixed fee or an hourly rate. We provide estimated pricing for specific service contracts in advance. How do you want to be known by your clients and prospects? How can you distinguish yourself from your competition? What is the "ethos" of your organization? What can help you sell more products to your clients? How can you improve your services? What is the longevity of your business? with our team of partners and network professionals.